UPDATED: The CPUC has unanimously passed this California NEM Storage decision on January 31, 2019. The information in our white paper reflects the final decision. 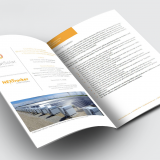 While our white paper describes many of the financial benefits to the decision, several energy storage and inverter manufacturers had questions about the firmware solution that we designed for NEXTracker’s NX Flow system, a DC-coupled energy storage system. 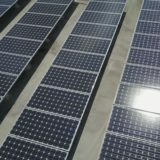 Is DC-coupled storage with net metering approved in California only with NEXTracker’s NX Flow product? As soon as the CPUC approves the policy change (hopefully by the end of January 2019), the NX Flow would be immediately eligible, since its firmware has already been verified by UL. However, other DC-coupled storage manufacturers may design similar firmware for their products. Eventually, UL will update their 1741 standard to include these protocols. In the meantime, utilities are allowing discretionary approvals of this policy, even though the CPUC hasn’t fully adopted it yet. The white paper says that SepiSolar co-developed the firmware. Does that mean that energy storage or inverter OEMs need to license the code from SepiSolar or NEXTracker? No. SepiSolar wrote the specifications, designed the testing protocol, and demonstrated the underwriting and verification process with our client, NEXTracker. As with NEXTracker, OEMs will need to develop their own code and implement into their California NEM/Rule 21 compliant product after UL verification. Based on our experience, a manufacturer can typically develop the code within a day or so. While SepiSolar does not write the firmware code, as an independent engineering firm, we’re able to help inverter and energy storage manufacturers with the functional and technical requirements to comply with this updated NEM energy storage policy for DC-coupled systems. Having gone through the UL process ourselves, we can advise on firmware design, testing pain points, pitfalls, and how to get through the UL approval process as expeditiously as possible. 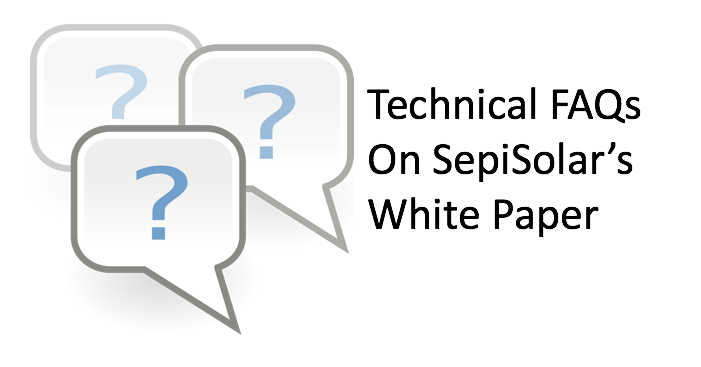 Eventually, UL will update its 1741 standard to include the protocols that SepiSolar developed. What do you mean by “firmware”? Don’t you mean “software”? In order to adjust to this NEM storage proposal, utilities asked that the associated OEM software not be changed after interconnection, and that it be “hard-coded” into the hardware device’s “firmware” itself. They wanted to be certain that nobody could come back to the system later, after PTO (Permission to Operate) was issued, and re-program the battery to charge off the grid, thereby breaching the system’s interconnection agreement with the utility company. While “firmware” involves software coding, it’s typically installed once at the manufacturer’s facility and implies that the software can’t be modified after installation or interconnection. On the other hand, “software” is inherently adjustable and can often be updated remotely by the system owner, OEM, or even third parties. As a result, the “NEM software” (firmware) cited in the proposed CPUC decision must be hard-coded into the DC-coupled inverter device.  It must then be recorded, tested, and verified by a Nationally Recognized Testing Laboratory (NRTL), such as UL or TUV. The inverter product must also have a specific version number and checksum that cannot be confused with other non-NEM-compliant hardware. In the future, it’s possible that we’ll find ways to allow “un-editable” software to be located outside of the DC-coupled inverter device, perhaps in an EMS (Energy Management System) controller. However, the EMS would need to prove to the utilities that it, indeed, cannot be updated post-PTO. These alternatives are currently being discussed. What happens if you update the firmware after interconnection? As mentioned, the firmware protocol that SepiSolar developed ensures that the software is hard-coded by the OEM and verified that it was installed correctly by an NRTL. In our UL-verified protocol, if the firmware is changed after installation or interconnection, it will necessarily void the UL verification and put the entire installation in breach of its interconnection agreement (and Rule 21) with the utility. The utility will then be able to shut down the system and potentially fine the customer for any damages the utility may have sustained for the breach. What are the firmware requirements? The firmware requirements that any DC-coupled system would need to satisfy to receive NEM credits are fairly straight forward. It must be designed so that the battery can never charge from the grid. In addition, the firmware solution must be tested and verified by an NRTL, such as UL. 5) Sensitivity testing on all the above in the event that the PV supply varies widely (say, with variable cloud cover events). Instead of inverters, can DC-DC converters adopt the firmware? Yes. We see a clear use-case for getting a DC-DC converter approved under California NEM, but it would require a slightly different testing regime than the one we’ve developed for NEXTracker’s NX Flow product. Is NEM with DC-coupled storage only available in California? Yes, for now, due to this pending CPUC policy change, DC-coupled NEM with energy storage will only be available in California. However, other states typically follow California’s lead with policies like this. As of mid-January, 2019, we haven’t seen a system get approved outside of California. Due to spam bots, unfortunately, we have had to close comments. Please email us using the address in the blog. previousWelcome to the New SepiSolar.com!